There were several speakers besides Ingraham at the unveiling of the Virginia Memorial in June 1917. The Virginia Monument on Seminary Ridge was dedicated one hundred years ago this month, on 8 June 1917. The Gettysburg Battlefield is marked with considerably more Union than Confederate memorials but this is one of the most iconic, staring out as it does at the scene of Picketts Charge. In 1917 the Civil War battlefields were under the auspices of the War Department, who saw them not only as tourists attractions but living classrooms for soldiers. The unveiling was in June and not July because the event was combined with the United Confederate Veterans reunion held in Washington D.C. June 4-7. President Wilson reviewed the aging Confederate as they marched down Pennsylvania Avenue, which was apropos; the president was a Virginian with strong sympathies for the Confederacy and himself a member of the Sons of Confederate Veterans. As they passed, some of the men good-naturedly shouted that they were willing to go to France and fight the kaiser. Since the April 6 declaration of war on Germany, many were politicizing the Civil War (more than usual) and trying to shape the past as they could for their own purposes. Speaker of the House Champ Clarke claimed to an audience at the National Security League in late April that Lee’s Army of Northern Virginia had contained no conscripts. The reason he said this was to influence the ongoing conversation about a draft for the Great War. Needless to say, he was corrected quite quickly. That the statue was being unveiled just as the United States was ramping up to fight in the Great War was a coincidence. The Virginia Monument had been in the works for almost a decade. The plinth was erected in 1913, Lee atop along with the three statues at the base representing the Infantry, cavalry, and artillery three years later in December 1916. 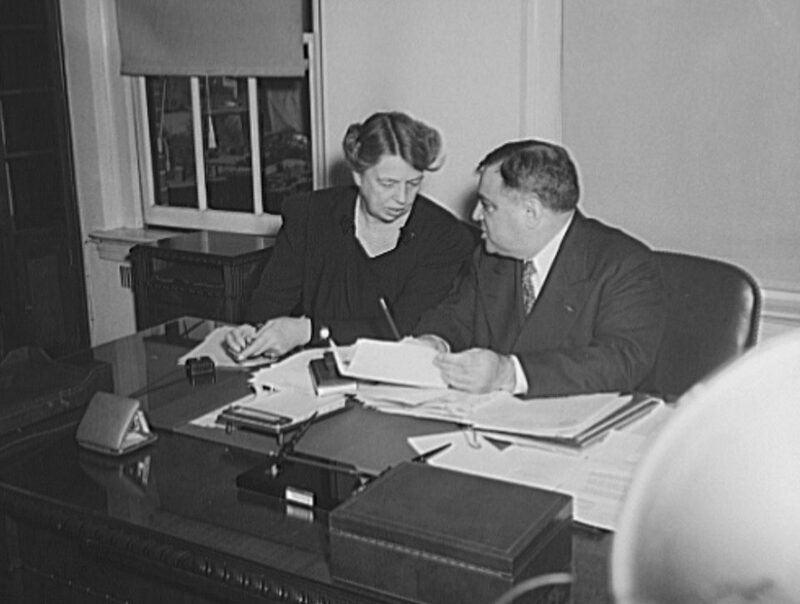 Assistant Secretary of War William M. Ingraham as he was during his time at the War Department. I was at Governors Island today where two other volunteers and I conducted some oral histories. We spoke to a Coast Guard man who worked on the island in the mid 1990s as the island was preparing to shut down. Closing down Governors Island was no small feat and the process took several months. Several thousand Coast Guard service persons and their dependents lived on the island until 1996. The process was well along for them to transfer. Everyone was gone by the end of that year, but in 1997 a few dozen workers, including the man to whom we spoke today, lived for a few months in Staten Island, commuting on the ferry and crossing over to do the mop up work mothballing the island. It’s strange that the mid 90s are part of history, but such is life. The other interviewee was a First Army musician in the mid 1960s. He was actually stationed at Fort Dix but once came to the island for a First Army talent contest, which he and his bandmate won. The level of talent in the various military bands, even today, is more impressive than the general public might know. People like John Coltrane had extensive military band experience, in Coltrane’s case in the Navy. It is always special to speak to the people who served on Governors Island. Equally special is to collaborate with the volunteers and rangers who care for the island today. George Lee Schulyer donated the America’s Cup to the New York Yacht Club in 1851. Ten years later he wrote this letter to President Lincoln with news about the Union Defense Committee’s efforts to provision Daniel Sickles’s brigade one month into the Civil War. New Zealand defeated the United States in the America’s Cup off the coast of Bermuda yesterday. In a strange coincidence, for my book I am currently writing about George Lee Schuyler, father of Louisa Lee Schuyler. George Schuyler co-founded the New York Yacht Club in 1844. After his schooner America won a regatta in England in 1851, Schuyler and his mates donated the trophy to the New York Yacht Club. The club would henceforth own what was now the America’s Cup in perpetuity with the proviso that the club host competitions with “any organized yacht club of any foreign country.” Legal agreements in the late 1880s tightened the language and made the agreement more binding. Louisa and her sister donated this portrait of their father to the N-YHS in 1925 along with about a dozen other works. The two women were descendants of both Philip Schuyler and Alexander Hamilton. George Lee Schuyler was a member of John Dix’s Union Defense Committee and later an aide to General John E. Wool. His daughter was a good friend of Theodore Roosevelt Sr. and active in the Women’s Central Association of Relief. Louisa was going strong well into the twentieth century. During the First World War she performed some of the same relief functions she had in American Civil War over half a century earlier. She and her sister presented this portrait to the New-York Historical Society in 1925 and made the gift official in Louisa’s 1926 will. I am off for a few days and am using the time to work on the book about Civil War Era New York. The goal is to write 4000 words over the week. Things are proceeding along and while it will be a push I think I can do it. Today as I do on many Sundays I went over to Green-Wood Cemetery. It was a beautiful day. I turned around and saw the headstone of none other than Cornelius Rea Agnew, one of the founders and leaders of both the United States Sanitary Commission and the Union League Club of New York. I had never seen this one before. As it turns out, he is buried just down the hill from the Roosevelt family plot. It was a reminder that what I’m doing is not theoretical, that these were real people and that they lived, worked, and performed their functions in the very vicinity where I do the same today. Archibald and Theodore (Ted) Roosevelt Jr. left for France on 20 June 1917. Theodore Roosevelt spoke from the pulpit of the Oyster Bay Reformed Church at Brookville on Sunday 24 June 1917 on behalf of the Red Cross. Raising funds and awareness for that relief organization was not his only reason to take to the podium however; with sons Archibald and Theodore now crossing the Atlantic aboard the Chicago to join Pershing’s nascent forces, he could announce that the boys had indeed left American soil. By June it apparent that the Wilson Administration, wisely, was not going to let Roosevelt command a division in France. The Colonel was committed, quite publicly, to sending his sons, so much so that he pulled all the strings he could get his sons to Europe as quickly as possible. That became a reality when the Chicago left New York for Bordeaux on Wednesday 20 June. The late spring of 1917 had entailed a great deal of back and forth for Archive and Ted. They had spent the past several weeks getting in some final training in Plattsburg before traveling ceaselessly between New York City, Washington, and Oyster Bay as their fate was being decided. Eventually the War Department sent secret orders directing them to report to General J. Franklin Bell on Governors Island. It was there at the Department of the East that they received their final instructions. They had a few more days to pass before the passage of the Chicago and so went back to Long Island to say their final goodbyes to their families. Then it was back to New York. The waiting to go overseas was finally over. Theodore Roosevelt had been an advocate for American involvement in the Great War since 1914. When he spoke at the Oyster Bay reformed Church one hundred years ago today, he had a personal stake in the conflict that was not there even one week prior. Alfred Restaino is incorrectly commemorated as “Albert J. Restaino” on Eastern Parkway. Though his tablet is incorrect, Restaino’s tree has fully grown. Restaino is on the far right in the second row from the top. The story only gets more interesting. I wanted to know where Restaino was buried. I never found his final resting place, but did discover that he indeed returned to the United States. In 1920 they held the Summer Olympics in Antwerp in a gesture for all that Poor Little Belgium had suffered during the Great War. In doing an Ancestry search for when or if Restaino came home, Restaino arrived in the United States on the US Army Transport Ship Sherman in September 1920, almost two years after the Armistice. That led me to the Brooklyn Daily Eagle, in which I searched for any articles about the Sherman published that September. That led incredibly to an article describing the return of the U.S. Olympic Team coming back on the Sherman with the remains of 763 doughboys. Here is the documentation of Restaino’s return on the Sherman, 11 September 1920.
and an excerpt from the 12 September 1920 Brooklyn Daily Eagle article in which an Olympian describes the journey home. Stories like this are why monuments and memorials are as poignant as they are. I mentioned to someone connected to the WW1 Centennial Commission last week of my intention to “adopt” the 27th Division during the Great War 100th anniversary. I intend to blog about the division, especially its 23rd (106th) Infantry Regiment, a great deal over the next two years, from its basic training in Spartanburg, South Carolina through its coming home after the Armistice. The 27th is a natural choice for me; it was the only division sent to France comprised of units from only one state, New York. Its 23rd Regiment was from Brooklyn and its armory is today on the National Register of Historic Places. The 23rd served on the Texas border during the Punitive Expedition in 1916. Its unit chaplain was the Reverend S. Parkes Cadman. When the regiment was called into federal service during the Great War it became the 106th. There were so many men, regiments, and divisions that fought in the war that it seems the best way to tell a doughboy story is by finding the general in the particular. That’s why I selected the 27th. Plus, they fought with the British, which gives me a chance to better explore the international aspects of the war. Yesterday when we were at the Library of Congress I saw a man standing in front of a wooden trunk outside the exhibit hall. As it turned out, he was a volunteer and the trunk held the accoutrements of a Brooklyn doughboy named Christian F. Stensen, a private in the 23rd. I had an interesting conversation with the man from the Library of Congress, who graciously showed me Private Stensen’s belongings. We did not know for sure, but we were speculating that the Indian was adopted as a logo because the division’s Orion symbol looks something like a tomahawk. I’ll have more on the Orion symbol itself in a future post. You never know what you will see if you get out there. Whether it is the Park Service, the Library of Congress, or some other institution, yesterday’s experience was testimony to the special role that volunteers play in the telling of our history. I was having a conversation with someone last night who noted how many of the images I have used recently on the blog have come from the Library of Congress. I try to mix up the sources, but indeed most of the best photographs for recent posts have come from the LOC’s extensive collections. As a librarian myself, I understand how valuable these resources are to our nation. Not only have I used the library’s image collections, I have utilized the Library of Congress manuscript collections for my book projects as well. And the best thing is, with the internet at our fingertips many of these resources are available to us regardless of where we live or work. They do such a great job, we almost–almost–take it all for granted. Well today I had the good fortune to go with the Hayfoot to the Jefferson Building to see Echoes of the Great War: American Experiences of World War I. The curators did a fine job not just discussing the battles, but the economic, political, and social consequences of the war as well. With our country facing so many issues and uncertainties in our own historical moment, it is comforting to know that we as a nation have weathered times of uncertainty in the past. The challenges vary only in the details. It is hard to believe the the World War I Centennial Commission Trade Show was three years ago this week, and right here in Washington D.C. no less. Approaching others is not something that comes easily to me, but I made certain at that event to talk to the representatives at every table. I remember having discussions with staff from various museums and cultural institutions, including some people from the Library of Congress’s Veterans History Project of the American Folklife Center. The friend with whom I was speaking last night lost his father, a veteran, not long ago. His father was buried in a military cemetery in a Southern state. I was telling my friend that waiting for my bus in Manhattan yesterday morning I struck up a conversation with a man wearing a WW2 cap. He too was waiting for the bus and was headed to Bethesda to see his daughter and her family, presumably for Father’s Day Weekend. Over our coffees I asked him if he had fought in Europe or the Pacific and he said Europe. He said he was nineteen when he entered the war, which would put him now in his early 90s. He looked more like seventy-five at the oldest. I told him I wrote my master thesis on Dwight Eisenhower and he told me he met the general one time. Eisenhower had come to speak to his unit of about 100 men to explain in person why their transport ship home would be delayed for a week. I know my WW2 well enough to know that troop transport delays homeward immediately after V-E Day were a major snag, though I didn’t say that to the veteran that at the coffee shop. Hearing the man tell the story was an incredible experience I will never forget. I say all this because I noticed in the outstanding exhibit today that the curators incorporated a good deal of material from the Veterans History Project into Echoes of the Great War. Frank Buckles was the last of the American WW1 veterans, and he himself died over six years ago. If you have a chance, make sure to check out the Library of Congress’s outstanding Echoes of the Great War, which runs through January 2019.